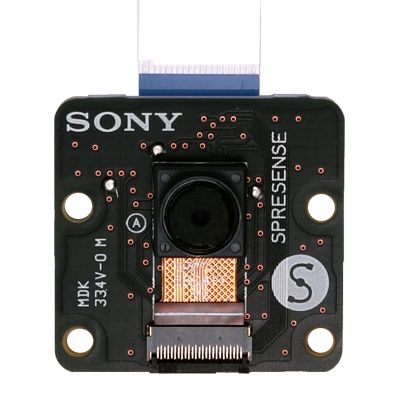 Sony Spresense is a compact development board which allows developers to create IoT applications in a very short time. 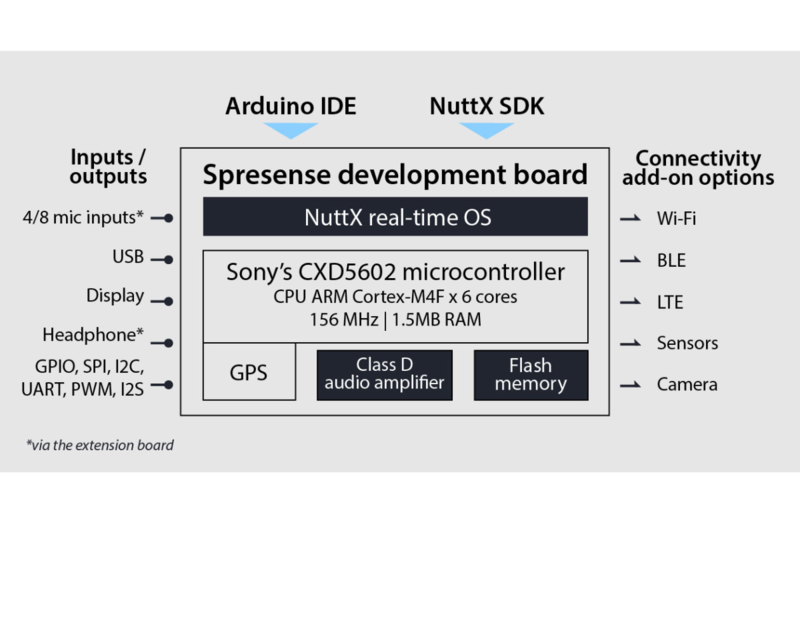 Spresense development board is created for professional development where there is no trade-off between short development time and a great end solution. 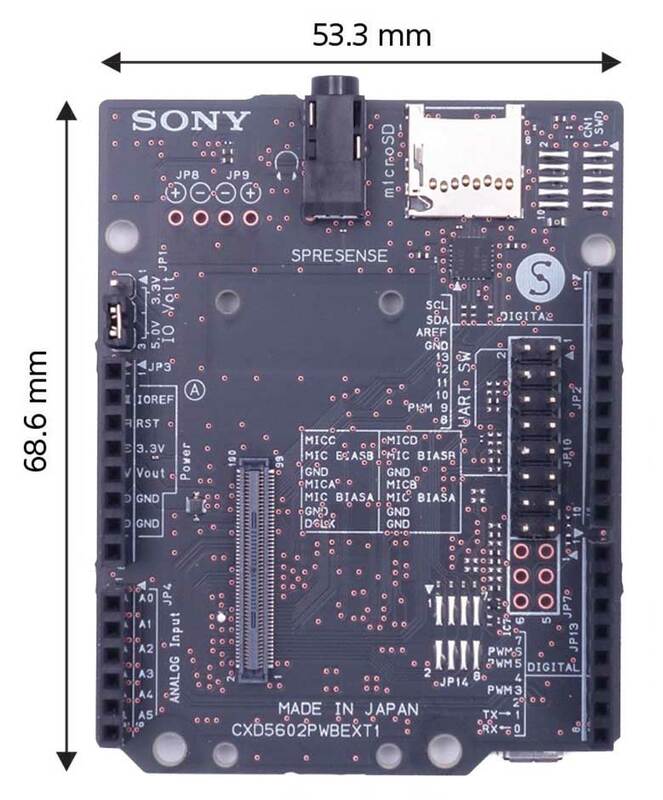 Despites its compact footprint of only 6.5 x 6.5 mm, Sony's CXD5602 microcontroller runs 6 ARM Cortex-M4F cores with a clock speed of up to 156MHz and has an integrated GPS. Integrated GPS – The embedded GNSS with support for GPS and GLONASS enables applications where tracking is required. 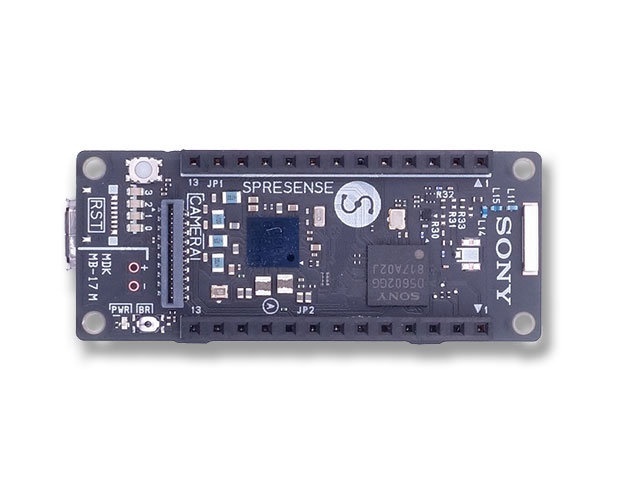 Spresense development board is created for professional development. As a developer you have the choice of using the Arduino IDE or going for the more advanced route of the extended API based on the NuttX SDK. With Spresense there is no trade-off between short development time and a great end solution. 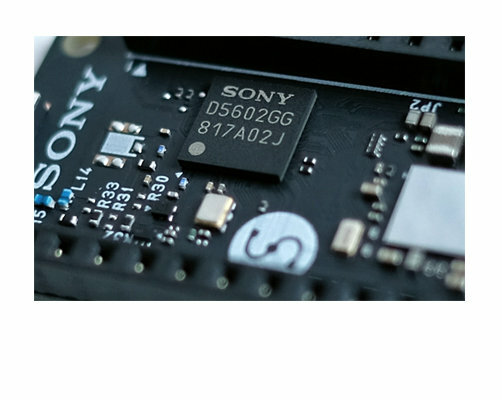 There will be a range of add-on module boards to equip the main board with the required features needed for each use case, such as BLE, Wi-Fi, LTE, camera module and accelerometer sensors. 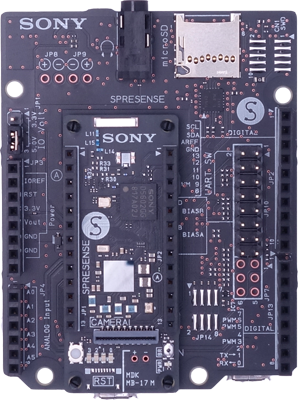 Additionally the Spresense Extension board makes the Spresense development board compatible with selected Arduino shields. 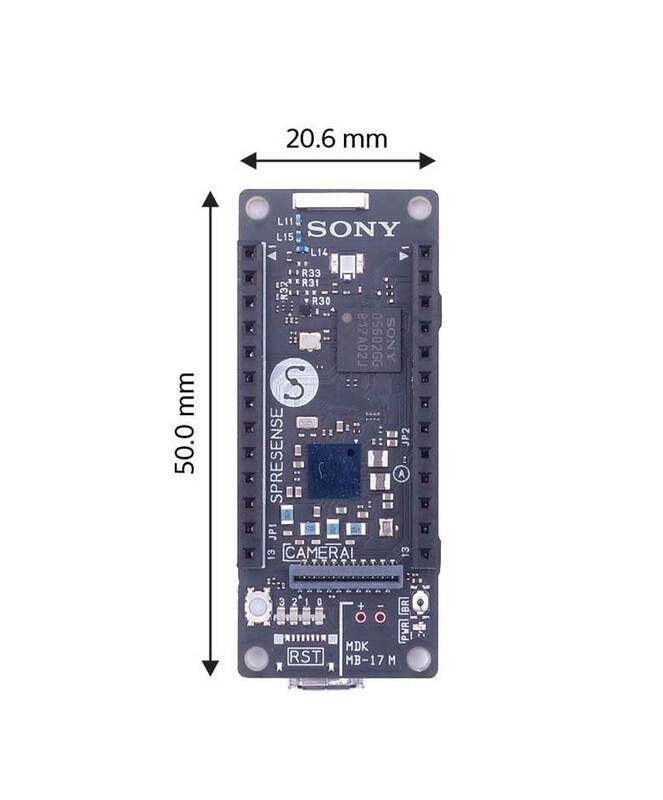 Despites its compact footprint of only 6.5 x 6.5 mm, Sony’s CXD5602 microcontroller runs 6 ARM Cortex-M4F cores with a clock speed of up to 156MHz and has an integrated GPS. Thanks to the FD-SOI (Fully Depleted Silicon On Insulator) production process, the CXD5602 chip is very power efficient which enables battery dependant use cases. The CXD5602 microcontroller is available for volume orders in case your company is interested in developing your customized PCB solution. Various communication accessories are available. Spresense board is pin to pin compatible with Arduino shield. Please check with our sales team for more information. Please note that the board will require dedicated applications and services.